In the past, creating a wedding registry often meant spending the entire day in a department store, whittling hundreds of pots, dishes, towels, and more household staples down to the chosen few with your fiancé (and subsequently questioning your sanity in the process). Now, thanks to the golden age of technology, couples have flexibility and customization options that would have been unheard of even just a few years ago. Gifting-focused apps like Amazon, Honeyfund, Zola, and more are revolutionizing the way that newlyweds-to-be search and register for items. With just a few taps on your phone, you can not only set up your registry in minutes but also seamlessly link items from different retailers into one universal wish list, creating a one-stop shop for guests. You could add that KitchenAid mixer you’ve always wanted (but were never able to afford), collect funds for your dream vacay to Hawaii, and even register for a crash course in cooking, all in the same place. Imagine all of the possibilities! We checked in with Sara Margulis, the CEO of Honeyfund, to get some helpful registry pointers. Their new easy-to-use app makes it possible to register for anything from honeymoon experiences to home down payment funds and charity gifts to fine china. First, here’s how the process works for guests: Any monetary funds for the honeymoon or other giftable “experiences” travel directly from them to the couple. Guests select a gift from the personalized registry, enter their names and e-mail addresses, and follow the simple payment instructions. They can reserve an item without submitting any payment to the registry service, sending cash or a check to the newlyweds, along with a corresponding gift certificate. Or they have the option of contributing directly to their bank account via PayPal or by credit card for a small processing fee, which varies depending on the service provider that’s hosting the registry. Any tangible products purchased via universal registry links are shipped on the store’s timeline and where the giver indicates. We suggest designating a contact person (like your mom or maid of honor) who can answer less tech-savvy guests’ questions about how to contribute and offer assistance if needed. 1. DO think about what you want to register for in advance of visiting a store or registering online. 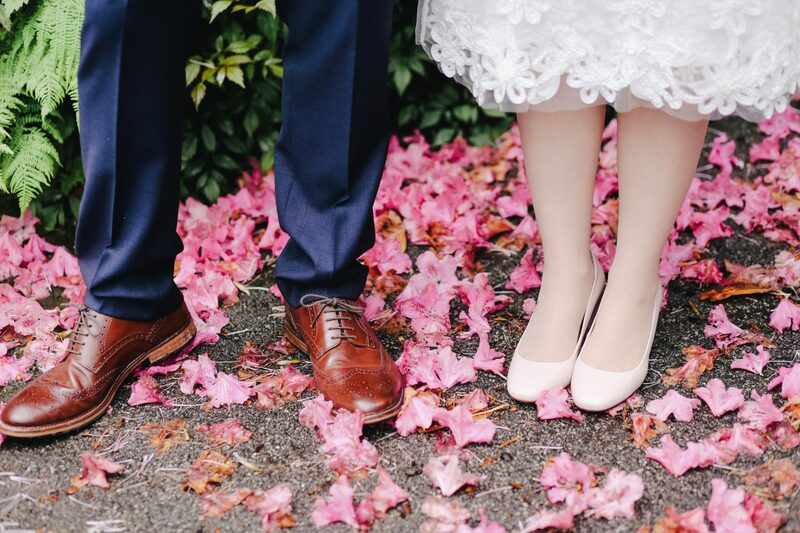 “Couples should create their universal registry at least six months before the wedding so that they have time before the invitations go out to make adjustments,” Margulis says. Talk to your fiancé about what your needs and wants are for starting your married life together. Is purchasing a home on the horizon? Do you have the budget for your dream honeymoon? If you don’t know where to start, try the Honeyfund Registry Style Quiz, which gathers info about your lifestyle and preferences and recommends a list that’s a perfect fit. 2. DON’T inadvertently expose wedding guests to a fee to contribute to your registry. Some honeymoon registry sites charge a fee to the couple and/or gift-giver. Do your due diligence and research the site policy before signing up so that you know exactly what to expect before the gifts start rolling in. 3. DO include lots of options at various price points so that your guests have plenty of choices. “One of our all-time most popular gift items is a spa day, but wedding guests also love to give site-seeing tours or adventure excursions like bungee jumping. Even dining out in a world-famous city like Paris is a once-in-a-lifetime experience! If you’ve already got your honeymoon all taken care of, you can register for fun experiences to enjoy in your first year of marriage, like ‘a year of date nights’ or cooking classes,” Margulis says. Consider adding some household items that are available in brick and mortar locations for guests who prefer to go the traditional route. Also, you’ll want to be mindful of guests’ budgets by registering for products and experiences in different price ranges, including plenty of picks that are $50 or less. 4. DO take advantage of tech features. Universal gift registries offer innovative tools that you won’t find at big-box retailers. For example, Honeyfund’s bookmarking browser extension lets you add any item you see on the web with just the click of a button (similar to Pinterest), which is especially helpful if you want to shop at a store that doesn’t offer wedding registries. These types of sites also offer gift-giver and thank-you note trackers. 5. DO personalize your page as much as possible. Outline your honeymoon itinerary and be as descriptive as possible. Add photos for experiences that you’d like to receive, along with notes explaining why you’d love them. “Guests love seeing the couple’s unique personality and wishes shine through on their registry. In addition to creating a wish list with pictures, couples can customize their Honeyfund with fonts, colors, and their choice of background,” Margulis says. 6. DO encourage group gifting. One of the hottest new trends to emerge in the gift-giving space is crowdfunding. Break down the cost of a big-ticket item such as airfare into smaller chunks so that people can pool their resources together. 7. DON’T register for personal items. Only consider things you’ll use or do together as a married couple. “The registry etiquette rule of thumb is this: Register for those things you will use or enjoy together! If you tend to play Xbox together, for example, then go for it! But if it’s just one person’s passion, then it’s not for the registry,” Margulis says. 8. DON’T put registry specifics on any stationery, such as your save-the-date or invitation. The most effective way to inform guests is to offer them a web page to visit to learn more. It can be printed at the bottom of the invitation itself or as a separate insert. Less tech-savvy wedding guests will use good old-fashioned word of mouth, so be sure those closest to you know about your registries. The Honeyfund app offers an e-mail system, printable registry cards for the shower, and social media integration, which are all key for spreading the word. 9. DO have fun with it! “A modern registry allows you to register for literally anything your hearts desire. Make it unique and true to your personalities so guests can enjoy shopping for something they know you’ll love,” Margulis says. If you want to visit a retail store, she recommends making an appointment with a registry specialist or attend one of their “Sip and Scan” events to keep it to a finite time. Spend no more than an hour or two in the store, and go in with your list already formulated to ensure you don’t get burned out on the registry setup. 10. DO thank your guests in a timely fashion. In addition to sending a thank-you note directly after the bridal shower or wedding, we also love the idea of including a photo of guests’ experiential contributions. For example, if they gifted you a scuba diving trip, then an under-the-sea snapshot of brightly colored fish and coral is a thoughtful memento.